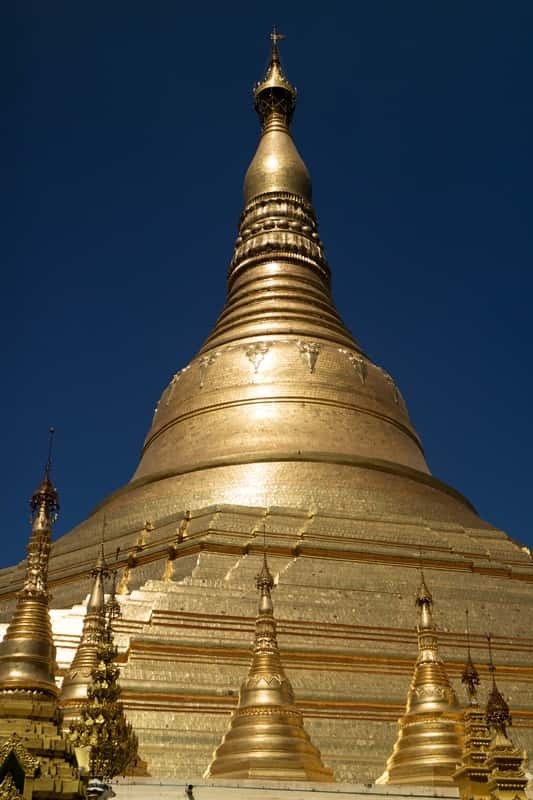 All that glitters is not gold….unless you’re in Burma! Pagodas, stupas, rocks, even ladies' faces – everything that can be is coated with the precious metal in ‘the Golden Land’. Our Myanmar tours take in the highlights along with some more unusual excursions like watching the unique 'one-legged' rowing style of the local fisherman on the serene waters of Inle Lake. Highlights of Burma When to travel? Located high up on the Shan Plateau, Inle Lake is a place where tradition takes precedent; from the ethnic tribes proudly wearing the national dress, to the boat-building and weaving industries all done by hand. Here you can take boat cruise on Inle Lake, discovering these traditional industries, visiting local markets and dining on freshly-caught fish served up on a banana leaf. It is estimated that Bagan has more than double the amount of temples found in the vast Temple Complex of Angkor, which provides some perspective into just how impressive Bagan is. The temple-lined plains stretch out for miles into the horizon, and an Explore tour to Bagan brings these temples to life, uncovering the most beautiful examples with the help of our expert local leaders. It may be Myanmar’s second largest city after Rangoon, but Mandalay in Upper Burma feels more like a big rural town. A tour to Mandalay encompasses the surrounding ancient kingdoms of Inwa and Amarapura with their spectacular pagodas and temples. The highlight for many is visiting U-Bein bridge at sunset. This 1.2 kilometre bridge was built in 1850 entirely from teak and is believed to the oldest of its kind in the world. The dry season in Myanmar runs from November to February, and is generally considered the best time to travel. Rainfall during these months is low, and temperatures are generally at their coolest, averaging between 23-27 degrees Celsius. At higher altitudes on the Shan Plateau and in Inle Lake, temperatures can drop at night and early mornings, so a fleece or light jacket is recommended at this time of year. Because of the optimal temperatures, most people consider this the best time for a holiday to Burma, so you will share Myanmar with the highest number of tourists at this time of year. The months of March and April make up Myanmar’s short hot season, where temperatures can reach in excess of 40 degrees centigrade. Whilst the plains are very hot, the higher altitudes experience more comfortable temperatures, and it is also the time of lowest rainfall. Naturally, travelling at this time of year you will see fewer tourists, and Explore tours will be adapted to start earlier and break for a long lunch to avoid the heat of midday. The Southwest Monsoon hits Myanmar in late May and runs through to October. During the wet season rain is expected to fall on a daily basis, and whilst the rainfall is very heavy it usually only lasts for 1-2 hours of the day. A trip to Burma at this time of the year is possible, but a level of flexibility is required to tweak the itinerary to avoid the worst of the showers. With an open mind however, you can experience Myanmar with few other tourists, and at its greenest and most lush.